If you own a dog, you’ve undoubtedly sneaked your best friend some “people food” treats now and then. You just know you have to be careful to not give them anything with chocolate or grapes or garlic or anything harmful like that. But after a nice, savory treat, I’m SURE Fido would LOVE to wash it down with a nice frothy adult beverage, right?! Yeah, I didn’t think so either. 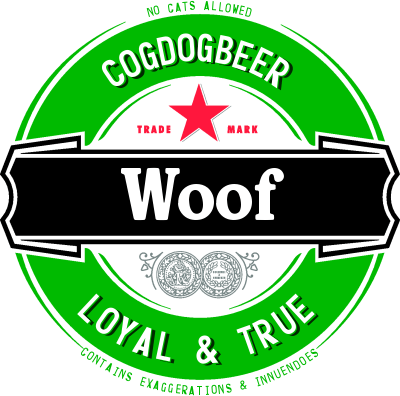 Okay, so it’s not actually alcoholic because they’re not idiots, but a Texas bar owner thought it would be a good idea and has launched a line of beer for dogs called Good Boy Dog Beer. Great, as if dogs weren’t already eager enough to rip one in my face, now they can go around shamelessly blasting out BEER FARTS!